" Try to get dirrty like Aguilera. " Any sugggestions of what should be next for X? I think it's time for a rock album! Im torn on this one, I love that she does something different for every album but Bionic has shown that taking time out to make solid albums which are different to the last doesn't always help you as an artist the way it should. I would love a Rock/Indie album from her next time, but at the same time I really wouldn't complain if she made an album very close in style to Stripped of Back to Basics. I do feel the Soul/Blues from B2B is the style that has suited her best and what she did in that era was brilliant something none of her peers were doing! I'd love for her to release a more dancey record, uplifting and happy, but I'd also love a more pop/rock album from her. Songs like 'Fighter' and 'Make Over'. I do think on her next album however, that she should work to create some mighty power ballads. Those are her strong point and her ballads are always better than her uptempos, in my opinion. I don't know what is next (musically) for Christina, but whatever she does do, I know it'll be creative, innovative and beautiful. But I definately believe she has it in her to make a rock album too. Lots of ballads of course. I think behind Mariah, Xtina churns out the best ballads. I think the problem with "Bionic" was that she had some of the experimental stuff on there but then there was also some really generic urban/pop tracks on there too. I think it was a very confusing album and it almost sounded like 2 albums being stuck together. She should have stuck with one sound. I would be like her sticking electro music in the middle of "Back To Basics" - it doesn't work like that. I think it's pretty obvious that the generci music was a last minute label decision because most of them were rubbish anyway. I can't wait for Burlesque!!! The music from the trailer sounds great! I agree, I think Christina wanted to go full out electronic on the album but the label must've thought it wasn't commercial enough. Not that it matters the generic stuff hasn't exactly boosted sales! An album full of Elastic Loves, Birds of Preys, My Girls and Bionics would've been fab! Back to basics still is the best style that suits her voice, her appearance, everything. I mean, soul, jazz, blues, R&B. she should stick to that kind of music. well, her ballads are incredible too. I hope we won't wait for a century this time. I want a solid album with no fillers + something fresh without people bashing her for 'stealing'. The sound is up to her. I agree. Her voice matches that sound perfectly, and despite what a lot of fans say, I thought "Back To Basics" was an incredible album from start to finish. without people bashing her for 'stealing'. She shouldn't stick to that kind of music forever but i do agree that her voice sounds amazing when she sings jazz/blues/soul/rnb! Back to Basics is a heaven to my ears! Especially disc 2! I just hope she goes back to a more organic sound with her next project, be it R&B/soul or pop/rock. This electro sound really doesn't do her voice justice at all. At first I couldn't bare to listen to ANY of the tracks from "Bionic" but I've recently grown to love "Lift Me Up", "All I Need" and "I Am" - simply because those songs are all about the vocals. With a voice like Christina's you don't need anything else. Leave all the synthesized beats and auto-tuning to everyone else! @ the pic on the top of the thread. She looked such a mess during "Dirrty" and "Beautiful", just really skanky but it worked I guess. The assless chaps she wore were priceless! 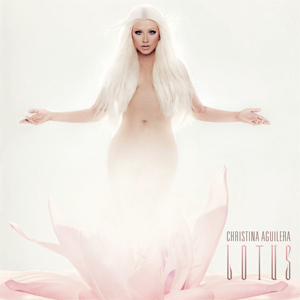 I'd really like a Jazz like album, much like B2B which is my favorite Christina album. Knowing how she changes it up for each album though, I expect her to do something different. I wouldn't be surprised if she went more folky Pop.